I cannot possibly overstate the urgency of the information I am sharing with you. The actual sovereign government and its immediate structures is shown in red. The Federal Government operating under powers delegated to it by the sovereign government is shown in blue. The United States (original) — formed by the Colonies via The Unanimous Declaration of Independence and State Declarations. The Colonies did not disappear. The Colonies went on to form themselves into republics — for example, The Maine Republic (land jurisdiction) and The Republic of Maine(sea jurisdiction). See The Ultimate Supreme Republican Declaration of the United Colonies of America. They also formed independent States = Estates doing business as Georgia, Maine, New York, et alia. The separate States hold the soil (national) jurisdiction and The United States (original) holds their national level soil jurisdiction in common for the purposes of the Declaration commitment. Soil is defined as the first six inches of the Earth’s surface. The United States of America (original) — formed by the Second Continental Congress – September 9, 1776 — dba of The United States for the conduct of private international trade, a holding company in the form of a Federation of States. Member States are Georgia, Maine, New York, et alia. The United States of America holds the international land jurisdictionof the member States. Land is defined as the Earth below six inches of the surface. It also acts as a Holding Company for all other international and global powers the States delegate to it to be exercised in common. This is where the delegated powers are collected together and delegated from to create the “Federal Government”. All of these entities, The United States and The United States of Americaand the States, are unincorporated in the business sense. The States function as sovereign governments. The United States and The United States of America function as unincorporated business organizationsbelonging to and operated by the States. The business of these organizations is conducted by Continental (land jurisdiction) Congresses. NOTICE that there are no “States of States” associated with or part of any of these organizations. Here, you are dealing exclusively with States and organizations of States. States of America (original) — formed by the Continental Congress – March 1, 1781 – The Articles of Confederation — for the conduct of public and commercial business in the form of a Confederation of States exercising delegated international powers as the Federal United States. Member States are The State of Georgia, The State of Maine, The State of New York, et alia. Exercises nineteen enumerated and delegated powers via The Constitution for the united States of America (1787). All delegated powers held by the Federal United States are in the international jurisdiction of the sea. This version of “United States” is strictly limited in scope and has no soil or land jurisdiction at all. It effectively ceased functioning in the wake of the Civil War. Reconstruction was never completed. The assets were transferred into trusts doing business as the Georgia State, Maine State, New York State, and so on. almost identical names have provided for no end of confusion and fraud. The Territorial United States which originally occupied only the District of Columbia and actual territories of The United States reorganized as an incorporated business chartered in Scotland in 1868 and established its own [Territorial] States of States which it substituted for our original States of America — thereby usurping upon The State of Maine, The State of New York, et alia.— as a merely presumed trustee and Executor de Son Tort during “Reconstruction“. The Territorial United States has always been British-controlled, and so the Territorial States of States—again, very deceptively and similarly named as the State of Maine, the State of Ohio, and so on, took over in Breach of Trust and Commercial Contract, and have been functioning in lieu of our original States of States ever since. The people of this country were never given anything like full disclosure, never told of any necessity to complete any Reconstruction process, and were instead victimized and their States occupied by the secretively usurping Territorial United States which owed them –and still owes them—nothing but Good Faith and Service. Municipal United States was created in 1790 by the adoption of The Constitution of the United States (notice — no “of America” involved here). This was originally intended to provide a capitol city government under the plenary control of Congress to be maintained as an international city statewhere all the states could come in peace to accomplish their mutual business affairs. After the Second World War the Municipal United States government provided by the members of the Territorial United States Congress (Article 1, Section 8, Clause 17) was emboldened to create Municipal STATES OF STATES, such as the STATE OF COLORADO, and use these private incorporated franchises of a Municipal Corporation doing business as the UNITED STATES (INC.) to pillage and plunder our people and our lawful States of the Union— despite the fact self-evident from all the public documents that the Municipal Government was always limited to the ten square miles of the District of Columbia and no such intrusion into our States or usurpation of authority from our government was ever intended or allowed. ——- It is clear from your focus above that you have been as bamboozled by the Territorial Government sideshow as most other Americans have been, but the fact of the matter is that our actual unincorporated Holding Company, The United States of America, has summoned the States into Session to deal with this corruption. In order to do that, we have had to overcome a plenitude of legal obstacles placed in our way to prevent us from knowing about our heritage and birthright, to expedite plundering and pillaging of public trusts created “in our NAMES”, to prevent us from having access to redress, and to ultimately steal and dispose of our land and other assets in payment for debts racked up by the Territorial and Municipal United States. Instead of assisting the people and States and supporting their efforts to finish the long delayed Reconstruction of the Federal United States the Territorial United States has been attacking those Americans who have overcome falsified political status records, unconscionable adhesion contracts, and other obstacles created by our run amok employees— and who have nonetheless returned to their birthright political standing and claimed their reversionary trust interest in their States and in their private assets. Read that— our employees have been waging a mercenary “war” against us, literally stealing from us to fund their predatory and criminal acts against us– and this has been going on for 150 years right under the noses and often with the participation of elected political leaders who have acted in private capacities while deceitfully appearing to occupy public offices. All those Territorial United States offices, all that “Republican” and “Democrat” frou-frou-rah, is nothing more or less than private corporate elections resulting in people being elected to fill private corporate offices. If you look up the legal definition of “President” you will see that the President is the Chief Executive Officer of a business — not the Head of State of a Country, which is just more proof that as incredible as all this may seem to you, it is nonetheless true. America is like Rip-Van-Winkle, waking up after a 150 year nap. Obama was a British-controlled Territorial United States hit man, employed to deliver the coup de grace to our Constitutional Republics, our economy, and our way of life. Born in Kenya, raised on Communist philosophy, and indoctrinated in the Hate and Self-Pity School of Racism, he was taught to hate “America” by supporters of the entire system of British Commercial Feudalism — the same elitists who, with their callous disregard for law and decency, are responsible for by far the lion’s share of racial injustice, unemployment, and other evils that colored people have suffered in this country during the 150 year spree of bunko and mistaken identity con games the British-controlled Territorial United States has wrecked upon us. Trump is a far, far better businessman and therefore a far better and more able President, and certainly a man who has regard for the country that bore him and the people who have supported him, he does not appear to fully grasp the situation. He appears to think it is a localized phenomenon, a matter of individual crime syndicates and religious cults and political radicals — but no, this crime is institutionalized as part of the “government” as it has been run for the past 15 decades. This crime is based on a basic undermining of the structure of our government and foreign usurpation of it. This crime has been carried out against us by our own employees and by “Allies” that owe their own survival through two World Wars to us. This crime is also based on the most audacious program of human trafficking on paper, identity theft, and political mis-characterization ever attempted in the history of the world. It has affected every nation on the planet. It has undermined the national governments. It has oppressed the people those governments are supposed to serve. It has reduced the population worldwide to institutionalized enslavement, involuntary servitude and peonage via deceit and fraud—-all implemented under color of law, in “the name of” the actual government owed to this country. Take a good look at “The Pledge of Allegiance”. What is a “Pledge of Allegiance”— an ancient feudal act binding a serf or noble to the service of a King. Exactly what does that have to do with our American tradition and our lawful government? Look at the text of it — “I (securing individual consent) pledge my allegiance to the United States of America ( not to The United States of America — to the Territorial United States dba “the United States of America’— a commercial corporation) and to the Republic (since when did we ever have a single Republic? We have fifty republics….) for which it stands (and exactly why would our republics need any commercial corporation to “stand for” them?). Yet millions of American schoolchildren have been indoctrinated with this mindless un-American tripe, and taught to just as mindlessly claim that they are “United States Citizens” —- with no comprehension that the “United States” being referenced is the usurping British-backed Territorial United States. This is the situation we are all facing, and the more people who know it, the better —contrary to the desires of those guilty parties who are doing their best to try to stop the truth and the Truth-Tellers, and to hang their odious debts around the necks of the still-sleeping Americans, and to blame us for their sins — every true American is called to come home to the land and soil jurisdiction, to the service of the actual government of this country, and assist in the restoration of the Federal United States. We have done our best to get this information to Donald Trump and have offered him the actual Office of President of The United States of America— the Executive Office of the Holding Company that delegates all the delegated powers and to which those delegated powers return — when, as in the current situation — the federal service providers are rendered incompetent by bankruptcy or usurpation. We posted a Private Registered Indemnity Bond for him and for this Public Office. I don’t think he understands that this is the true and actual Office that he should occupy and use to impose discipline and order upon the activities of the Territorial United States and the Municipal United States as well. As things stand, the Federal United States has been moth-balled for 150 years and is just now being recalled as the States assemble, both the Territorial and Municipal United States organizations have entered bankruptcy in the past four years, thereby becoming incompetent — so that all three “federal” service providers have failed. The delegated powers that they are supposed to exercise for us have returned to the organization that delegated those powers in the first place — The United States of America (the unincorporated Holding Company) and there is no agreement to assume any new service contract — especially not any open-ended service contract in which the employees continue to run rampant and pillage their employers. We have called upon the governments of France and Great Britain, the principal offenders, to get their acts in order, repent their shameful behavior, and stop their mercenary actions. We have likewise held the Holy See feet first to the flames for their part and failure to discipline and police the Municipal corporations and the hideous extortionate behavior of the Bar Association Members who are not lawyers— but are foreign Shipping Clerks— run amok on our shores. The gross corruption of our courts has, if anything, gone far beyond and outstripped the corruption of our government. Just as privately owned and operated franchises of Territorial corporations merely calling themselves “the State of Florida” substituted themselves for The State of Florida, foreign private “courts” substituted themselves for the courts we are owed. These private Territorial and Municipal Courts have no right to even address our people, much less prosecute them. Twenty-five million Americans have been jailed by these criminal organizations as part of a Prisons for Profit scheme, most of them for non-violent statutory offenses that they were never actually subject to obey. Day after day, I wonder how much more are the American people going to take? How much longer before the American military wakes up? How much longer before the political leaders who were elected in good faith stand up and do the job that needs to be done, regardless of what anyone else thinks or threatens? How much longer before the vast masses of American people who have been abused and robbed by their own employees rise up? How much longer before the people of other nations who have been similarly oppressed and abused by these monsters in suits take up the work before us? We know who they are. We know where they live. How much longer before the pendulum swings? And the longer that relief and restitution is withheld and these abuses increase and continue— what hope is there that this transition can be the peaceful and non-violent affirmation of Justice that it needs to be? Those who created this “System” of crime and abuse and Breach of Trust, are all long dead. Must we really enter into yet another bloody round of violence and revolution to simply address institutionalized crime in our midst? Isn’t it enough to simply realize that it is crime and deal with it as such? Arrest those who won’t repent, and go on with restoring and rebuilding the national governments we are owed? This is not a matter of politics. It is not a matter of race. It is not a matter of social class. It isn’t even a matter of money. It’s a matter of crime left to gradually infest and eat away at the moral fabric of many nations, destroying our institutions of justice, our schools, our medical care, our science, our futures and our beloved Earth. 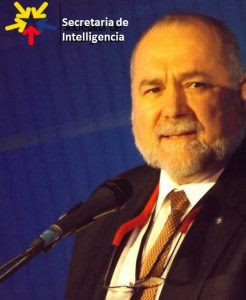 ROBERT STEELE: My most reliable and trusted authorities in the sphere of natural justice and common law consider Judge Anna von Reitz to be one of the greatest minds and most prolific useful authors on this topic. Her claims, some of which border on or could even be construed as outright fiction, are deemed to be tangible and worthy of public consideration. She will always be mired in controversy, but just as pedopredation (pedocriminality, pedosexuality, pedophilia) are now understood to be rampant across all societies; just as Zionism is now understood as the toxic subversive force that it is (not to be confused with Judaism) so also do we believe that natural justice and common law of, by, and for We the People will re-emerge over the next twenty years. The system is rigged — the legal system and the governance and economic systems are rigged. Judge Anna von Reitz is being accused by some of being a fraud — not a judge, not a lawyer in conventional terms; in our view, regardless of whether or not all that she has said and written in the past is true in the conventional sense, we are pleased to offer his concise summary of her views here and believe they merit respect. We have been deceived, robbed, and betrayed. The time has come to fix America. In my humble opinion, Donald Trump has a chance to make it all right, at home and abroad. If he fails to get to the root cancers that have turned the US Government into an arm of the Satanic criminal Deep State, then he will be replaced by an Independent President with a coalition cabinet and balanced budget announced in advance, and total reform on the table. Fix big. I believe our President is on the right track and he has my support conditional on his eventually implementing the Election Reform Act, nationalizing the federal reserve, ending the federal income tax, legalizing both marijuana and hemp, and organizating in his second term a Constitutional Convention.